On Saturday and Sunday, August 30th and 31st, we went to “Fira del Gran Boc“, which takes place simultaneusly with “Aquelarre“. Thanks to the cooperation of Cervera’s City Council, through the person in charge of the department Celebrations and Traditions, and the person in charge of “Aquelarre“. They are the promoters and organizers of the festival and thanks to them we could set our stand at the big Patio of the University of this beautiful and historic city. We are glad of the reception we had in Cervera, the treatment of its people and its visitors. Moreover, we could enjoy some of the best moments surrounding this great festivity such as the start of the “correfoc de l’Aquelarre”. It was awesome! Thanks to all the money we raised we can continue helping Àlex… and what is more important, we were able to explain our initiative to a lot of people. We hope this will help us in the future. We want to thank all the people whose collaboration make all this possible! 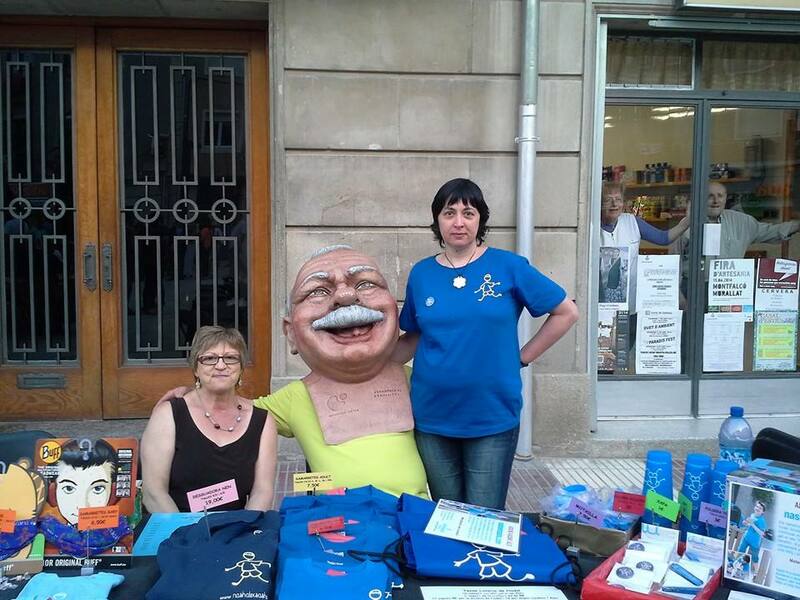 This weekend we are going to Cervera to continue helping Àlex. We will be at the 17th edition of Fira del Gran Boc which coincides with the Aquelarre, a popular tradition with witches and fire! Fira del Gran Boc will take place on Saturday from 5 PM to 3 AM and on Sunday from 5 PM to 10 PM. This fair gathers magic and esoteric professionals, natural products, artisans, food stands and some entities, all of them located in the courtyard of the University, also in the large University patio and at Plaça Universitat (outside the building). We will be at the large university patio with our stand full of our association supportive and personalized items. We will be together with artisan’s stands, textiles and resale. Our participation has been possible thanks to Cervera’s Town Council, through the Celebrations and Traditions Department and the Aquelarre Department. They are responsible, promoters and organizers of this event. June was a very intense month for us. We participated in three different events to make people aware of our initiative and to raise funds to continue helping Àlex. It was an intense month, with lots of kilometres covered and lots of hours spent but it has been worthy. Because of all the money we have collected for Àlex and because we have spread the message. 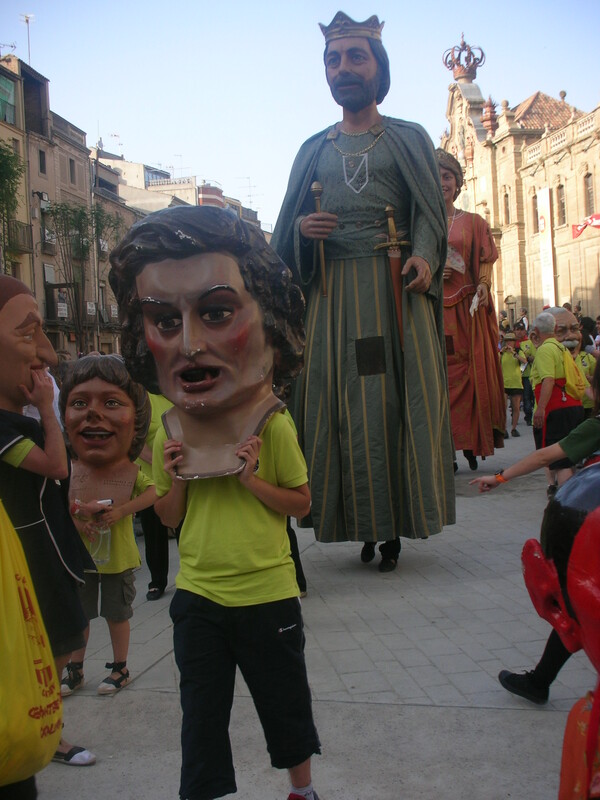 We started June 7th and 8th weekend at Cervera (Lleida) a town that this year has been named Ciutat Gegantera 2014 de Catalunya (Catalonia’s 2014 city of giants) and hosted giants and “big heads” carriers and organizations. Thanks to the town council we could set our stand in two different places in that beautiful and historic city. On Saturday we set camp at Sant Miquels’s Square, in the center of the city, and on Sunday morning at Sindicat’s Square. As this was our second time out of Igualada we were able to make our initiative known to many people who were not aware of anything about our association. This is why we are so happy, we had an amazing reception in Cervera, the citizens and the visitors where very kind. And we could enjoy Catalan Popular Culture and all the events that took place. The next weekend was June 14th and 15th and Fira d’Entitats was held. It was part of FirAnoia, organized by Fira d’Igualada, our city’s most popular fair. 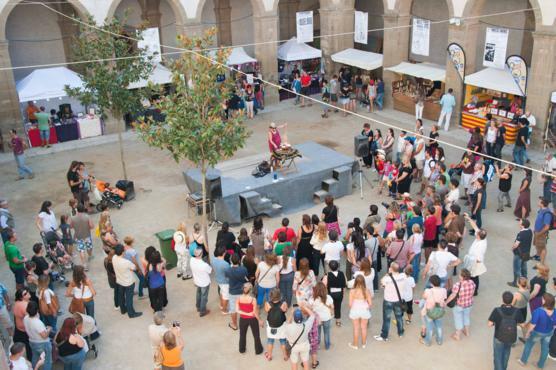 Thousands of people come to visit this fair, which is located in Igualada’s historical center. That is why this fair is a cultural model in the city. 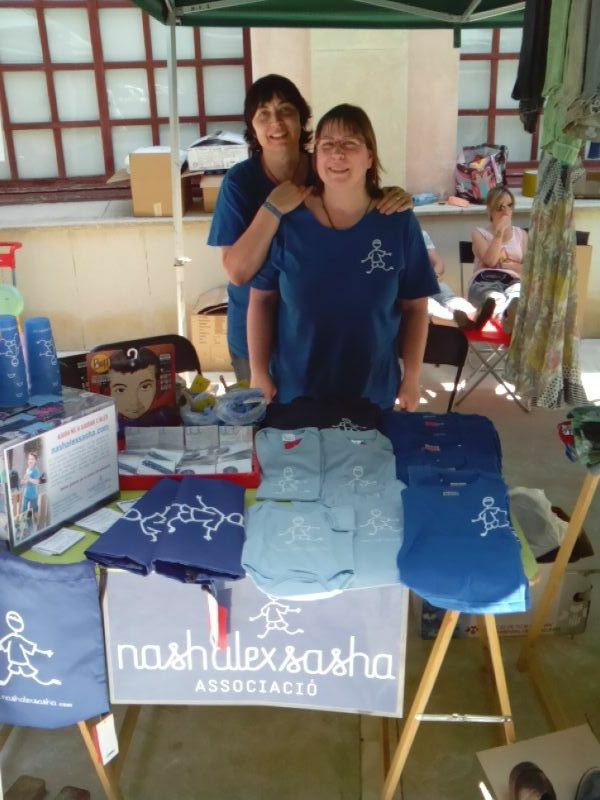 Thanks to the Fira d’Entitats de l’Ajuntament d’Igualada we were able to set our stand at the nonprofit local entities area. As it was a local fair we met with old friends and contributors who had helped us before, but we also met new people. One of the people we met and had the pleasure to talk to was an Anoiadiari.cat newspaper team member, who mentioned us in his article on June 20th (in Catalan). Thank you very much for helping us diffuse our initiative. 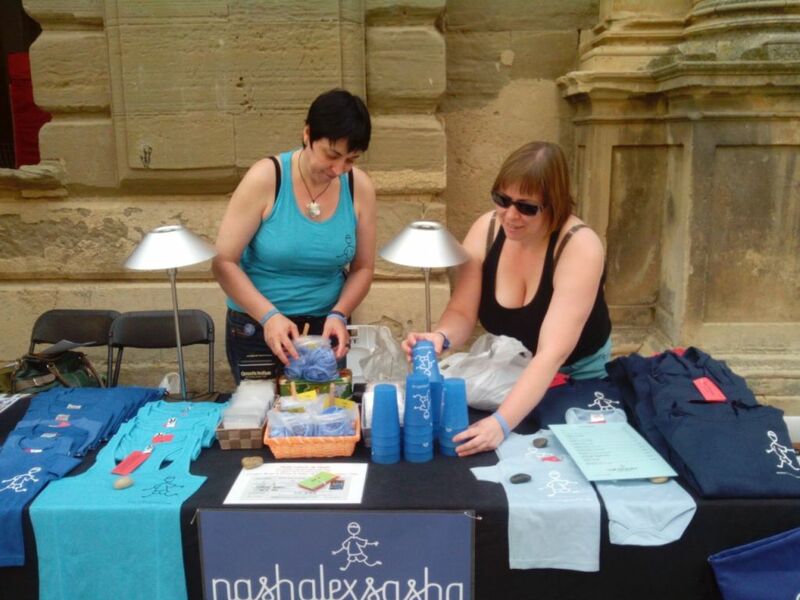 The last event we took part in was “El Troc”, Igualada’s exchange market, held on June 21st at the Museu de la Pell. Although we had less people than we expected, we were able to make our initiative known to new people. So we were very happy. We are glad to have been in these three events. Thanks to the funds we had raised we can continue helping Àlex. And most importantly we explained our initiative to many people and we hope this will help us in the future. 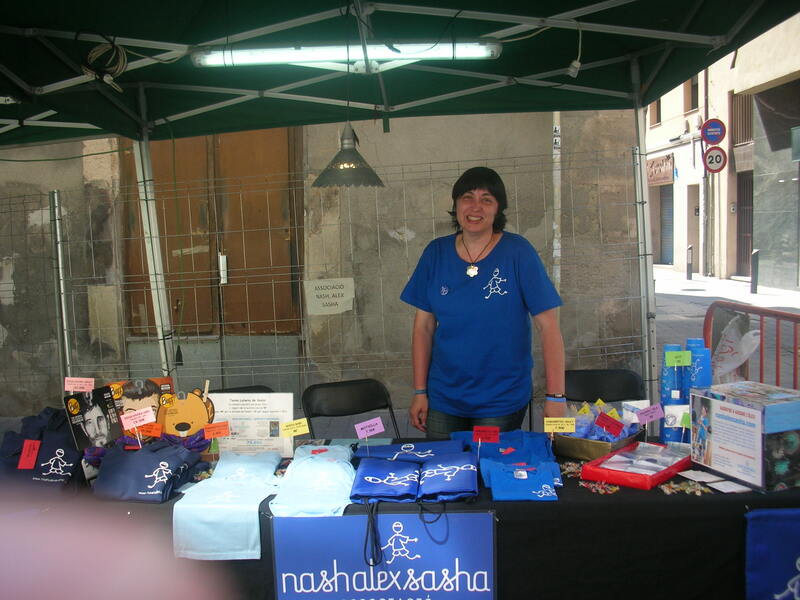 Since the first party we made to raise funds in “La Bastida” (Igualada) that had took place on June 1st 2013 we could start paying the educative-therapeutic weekly sessions for Àlex in Sitges. We continue paying them with the money we have been raising all these months, doing a second party in the Igualada fair space and setting our stand in fairs, markets, gatherings, etc. wherever we are allowed to do so. We haven’t had to stop Àlex’s sessions. We can see how Àlex is making progress, he is improving and he is also starting to say he wants to do that, and asking for it. This progress is amazing, he is growing up and he wants to grow up, this has no price. We continue working hard and now we feel optimists. We keep moving forward and hoping that everything we have worked for start at last. When in a situation like ours, a particular case like many and many others, you yourself have to look for solutions just to keep going, keep fighting, you can never give up. Because the thing you are fighting for is always worthy. If the goal is worthy and the means used are honest. All the more when it is for a Son you are fighting for. Just like us. We want to thank Marc Mañé who has been with us since the beginning, helping us diffusing the 2.0 initiative, creating the bloc/site, bringing the Nash Sasha Alex Facebook page up, all concerning to communication online, letting us dispose of his knowledge to continue with the initiative. We also want to thank Marga Xaus who works continueously to enhace and promote our initiative joining us in the events and being creative in all involving the spread of the initiative. Without him everything would be harder and nothing would be the same. Finally, we want to thanks Isabel Lacleta, Rufino García and Marta Ferrer, who have accompanied us in our outings. Without your help this would not have been possible! Thank you very much to all those who with their collaboration are doing all this possible! 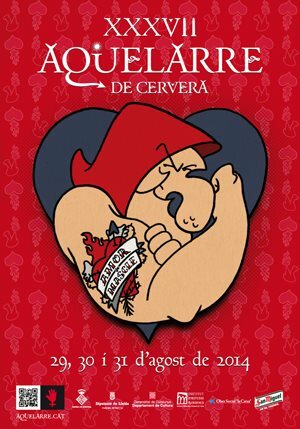 We will spend this weekend in Cervera – City of Giants in 2014. Days 6, 7 and 8 of June, Cervera will be Catalonia’s Giants City 2014. Thanks to Cervera’s Council we will be there with our stand with our solidarity personalized items, presenting the initiative and trying to get more help for Àlex! You can find us on Saturday from 10 a.m. to 21 p.m. in San Miguel Square and on Sunday from 10 a.m. to 14 p.m. in Sindicat Square. We are very pride of going beyond our city to explain our initiative!